World´s most versatile automatic bagger machine – bagging system. 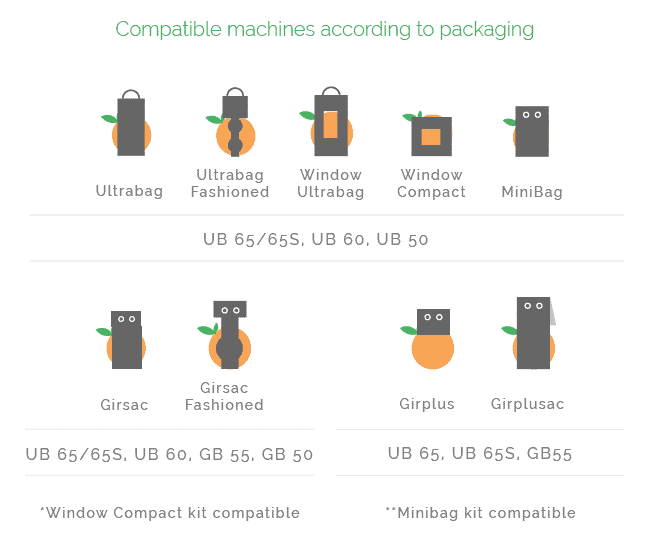 Able to make up to 9 different bag formats. 5 different models for standard treatment and 3 models for soft treatment. 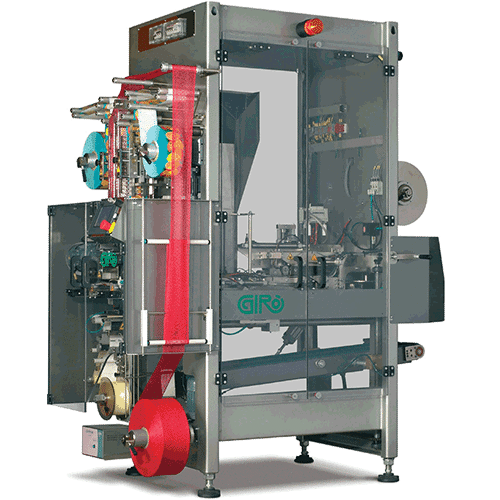 Al Thika Packaging is the exclusive distributor of Giro net packaging in the Middle East. Since 1994 Al Thika has been supplying net packaging machine & consumables for fruit & vegetable industry in Dubai, Abu Dhabi, Sharjah, Fujairah, Ras Al Khaimah, Ajman, Umm Al Quwain, Al Ain – UAE, Saudi Arabia, Muscat, Oman and the many other Gulf countries.